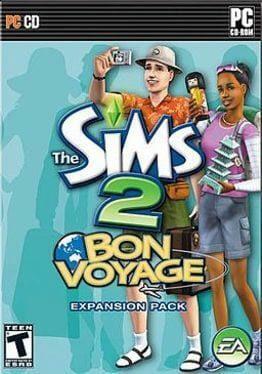 Bon Voyage is the sixth expansion pack released in The Sims 2 series. Every Sim needs a little rest and relaxation from time to time. Escape the hustle and bustle of everyday life by visting far off locales and going on tours (complete with cards that help randomize the trip), lounging on the beach, roughing it in the middle of the forest on a camp-out, and much more – either alone or as part of a group. It’s not all exploring new areas, of course. Your sims can be treated to the lap of luxury by getting a massage and tan or swim in the ocean, build a sand castle – even discover a secret technique from a mysterious stranger. After communing with Mother Nature, don’t be surprised if you Sims have a bit more spring in their step when they return to their normal life. After all, who doesn’t feel great after a nice, relaxing vacation? The Sims 2: Bon Voyage is available from 4.99 to 4.99 from 1 shops.